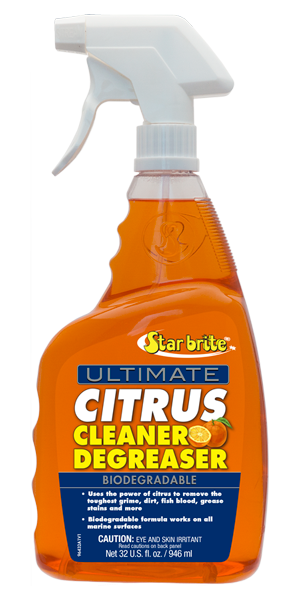 Harnesses the natural cleaning power of citrus to blast away greasy, grimy messes. 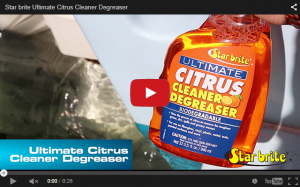 Because it is biodegradable it can be used while on or near the water. The fresh scent deodorizes treated surfaces, too. Ideal for every inch of the boat, from the bilge to the galley, head, cabins, cockpit and anywhere else messes can be found. The fast, easy way to add shine & enhance color.